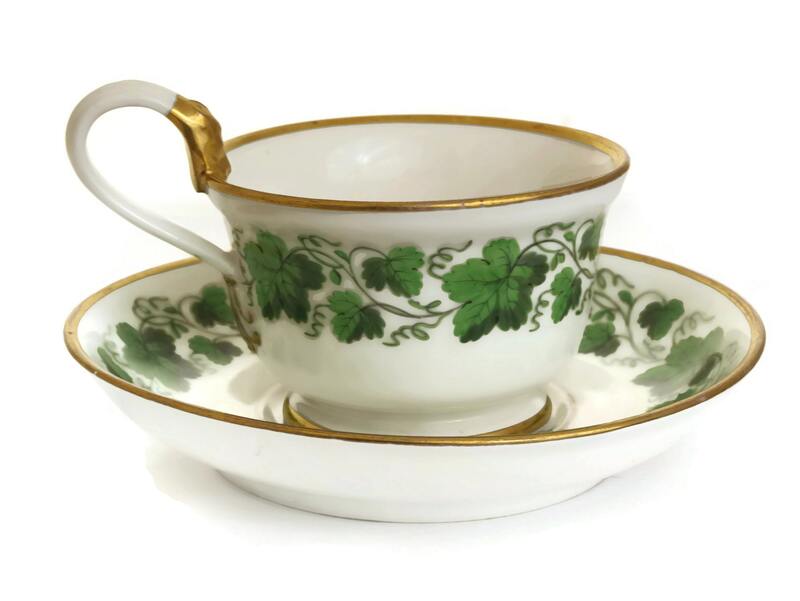 A beautiful antique teacup and saucer set dating from the 1800's. 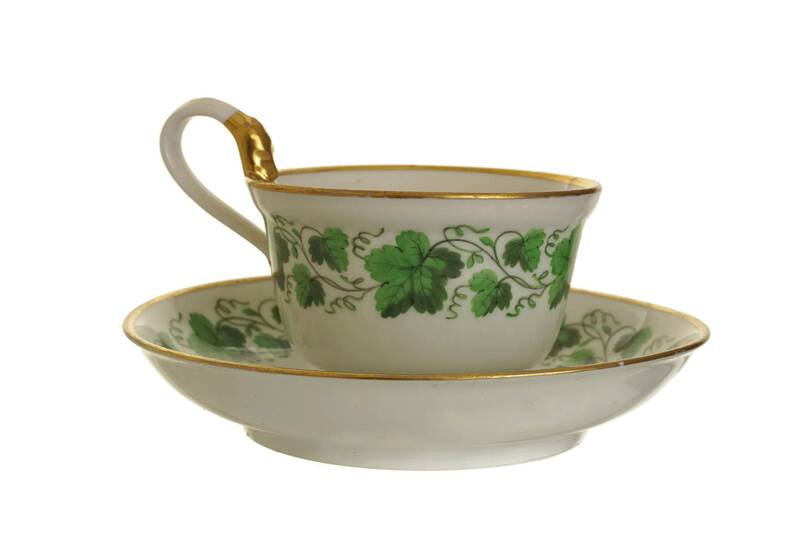 The tea cup and saucer were manufactured by the famous Schlaggenwald porcelain company and it once formed part of a lavish tea set. 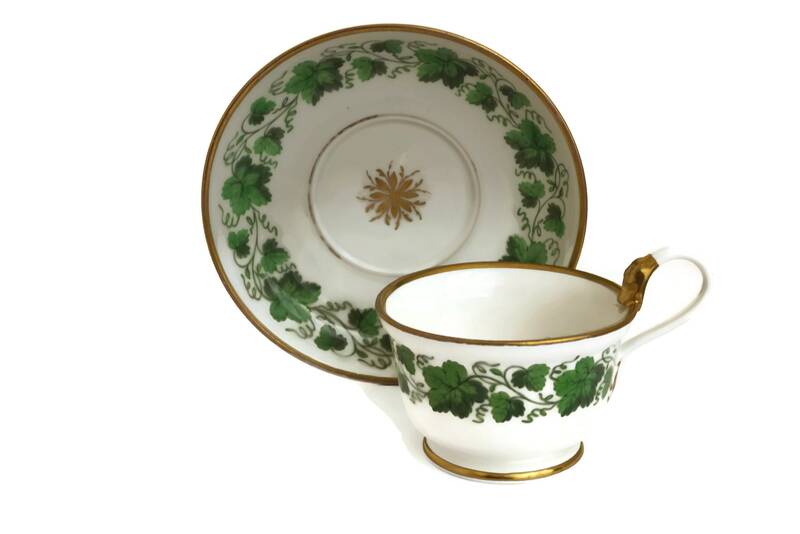 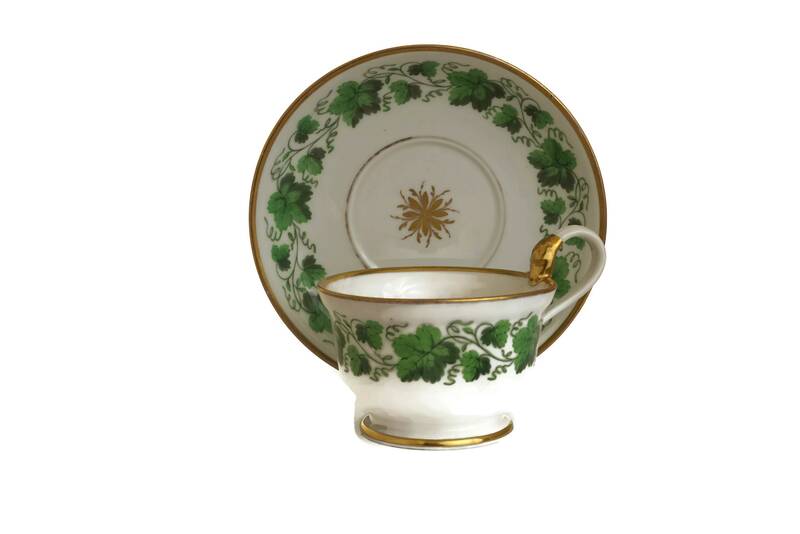 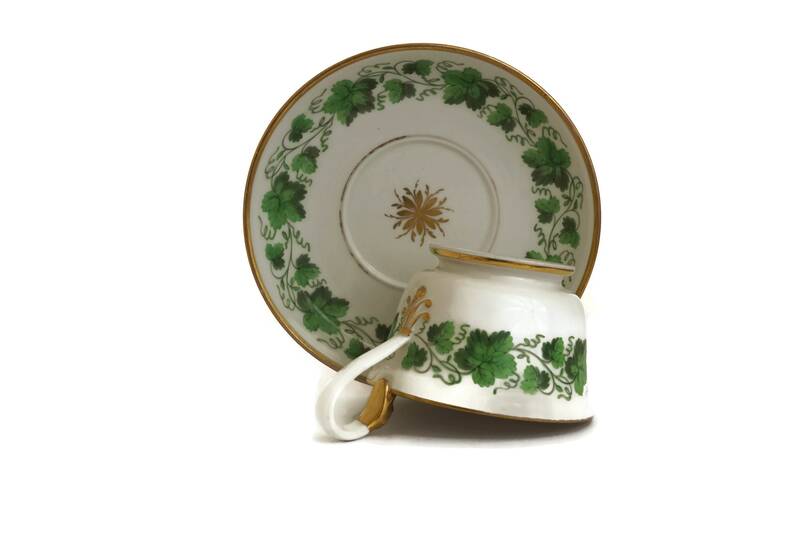 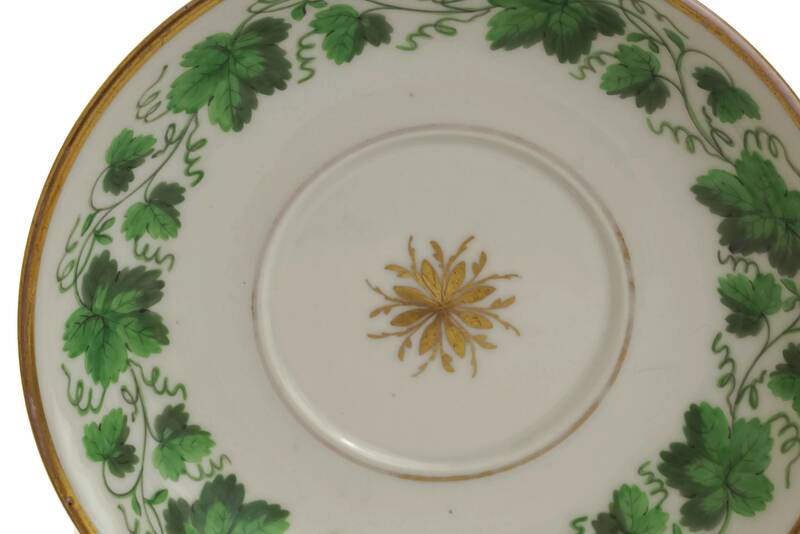 The porcelain cup and saucer have been hand decorated with an enchanting green grape vine leaf pattern over a white glazed background with gold accents. 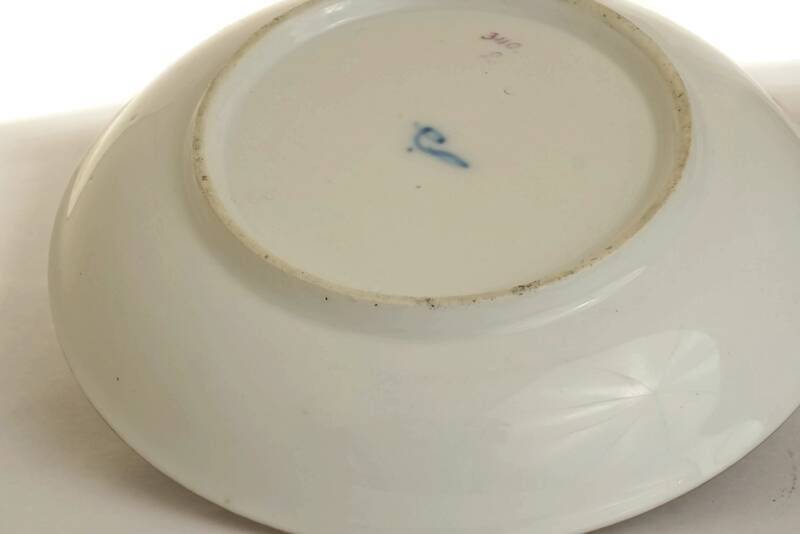 The underside of the saucer has the Schlaggenwald blue S mark under the glaze. 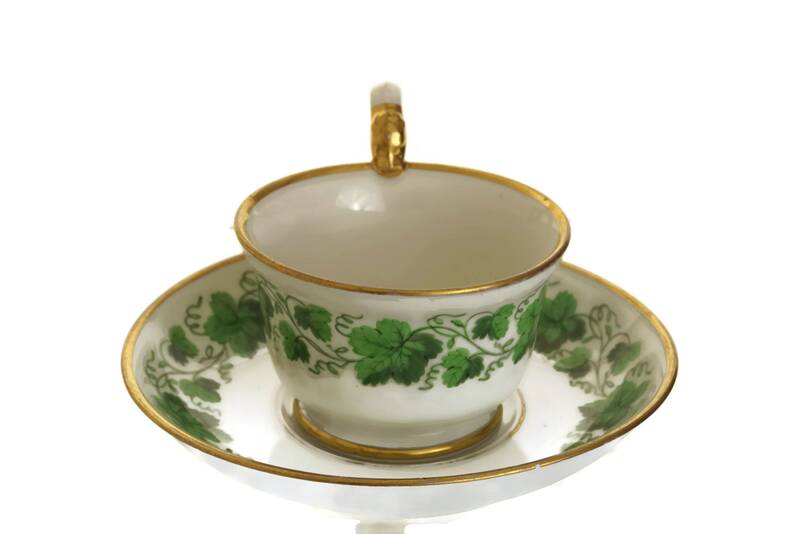 Cup: 3.5" Wide x 2.25" Tall (9 cm x 6 cm). 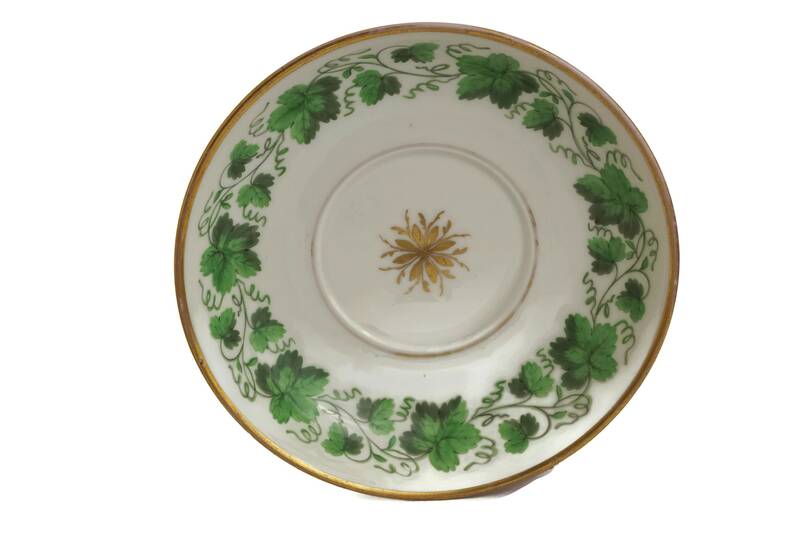 Saucer: 6" Wide (15 cm). 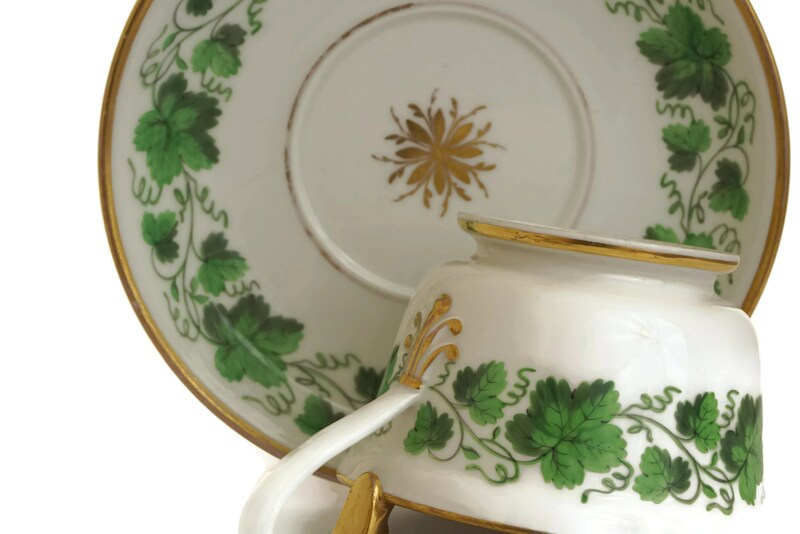 The pair is in very good antique condition with light rubbing away to the hand painted gold accents.